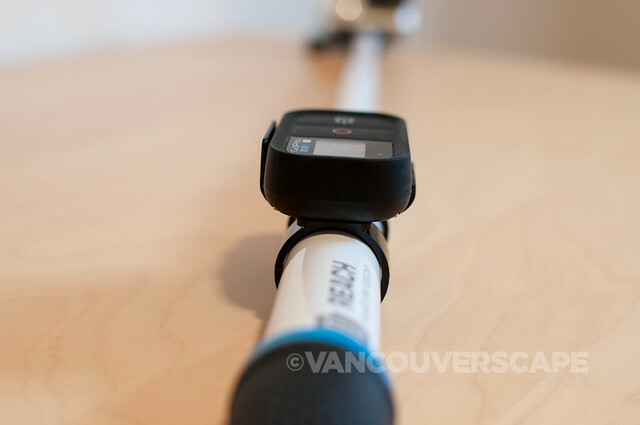 While perusing the Las Vegas Convention Center booths during last week’s International CES tech show, I came across GoPole, a third-party GoPro accessory company based in New Jersey. 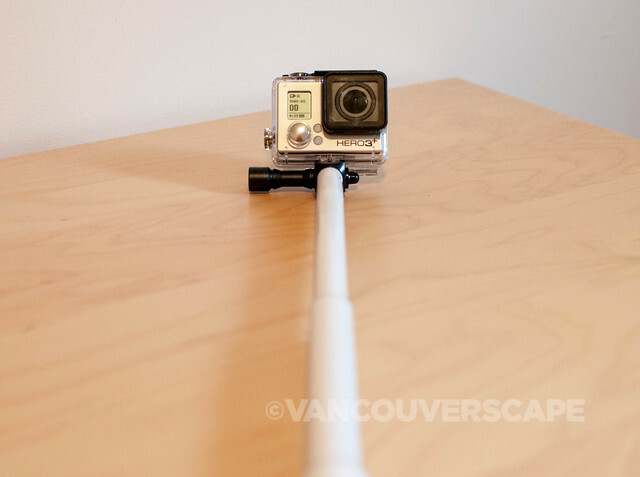 I’d been on the lookout for GoPole’s products since having reviewed their Grenade Grip last summer. 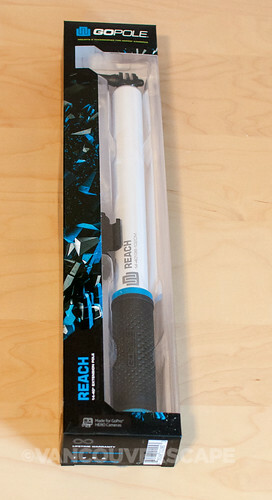 The lightweight Reach is a similar product that extends from 14” to 40” (36 to 102 cm), and the best part? It has a clip to hold a GoPro wifi remote! This feature sold me on picking up a Reach for review. I’ve been alternating between my Lowepro AVC 1 and Tahoe 30 cases for toting the tiny GoPro camera, but when I’m out with the smaller Tahoe 30, there isn’t room for the remote. I hadn’t yet found an accessory with a handy clip for the remote — until now. 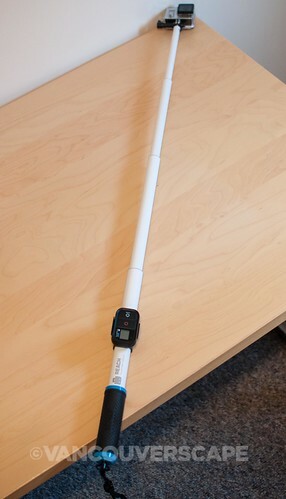 The Reach solves two problems at once: an easy-to-grip rubber-handled extension pole and easy access for a wifi remote. 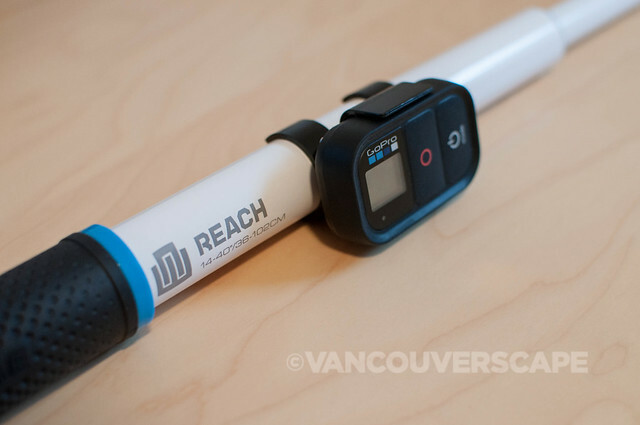 The Reach includes a hi-torque thumbscrew for the GoPro or for compatible mounts. The wifi remote clip is also removable, so if you don’t own a wifi remote (or choose not to use one), it remains optional. Each of the four sections of the Reach is made secure by a quarter twist of that pole’s section. 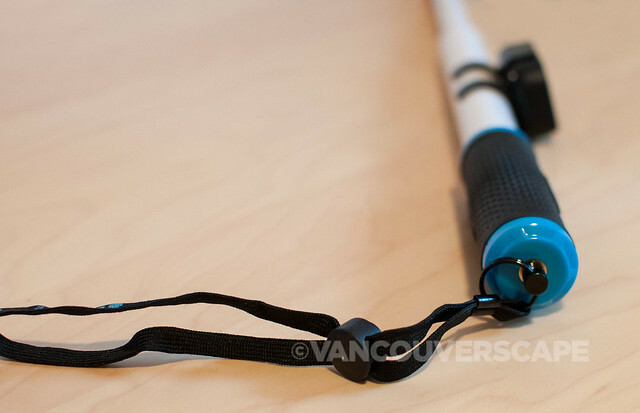 The included wrist strap screws into the bottom of the Reach, its wrist size adjustable via a clip. 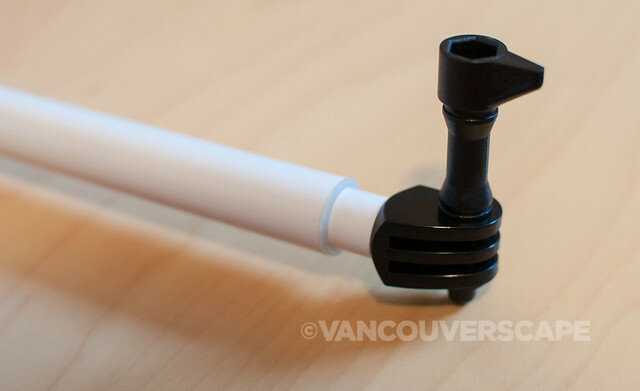 You can also connect a tripod in that 1/4” 20 threaded insert, adding even more flexibility. The pivoting head allows for capturing 180 degree shots, whether you’re shooting video of the scenery ahead or getting your selfie on. 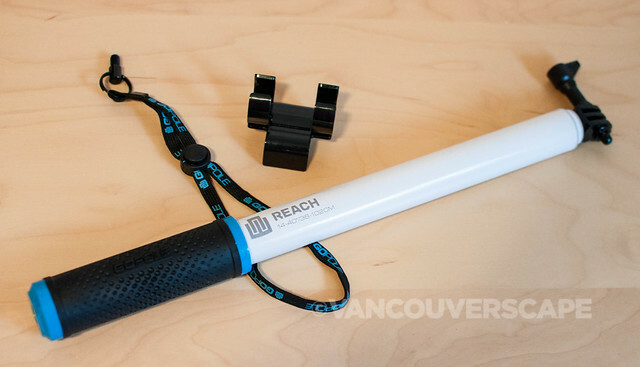 I like the Reach’s lightweight feel, and plan on getting good use out of it alongside another product I’m currently reviewing, Knog’s Quodos action video light. 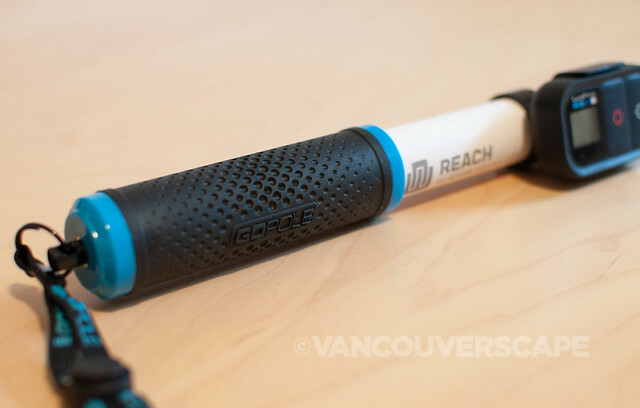 GoPole’s Reach retails for US $54.99, comes with a lifetime warranty, and is available online and in Canada (CDN $64.99) at London Drugs.